Parotia lawesii Ramsay, 1885, Astrolabe Mountains (subsequently defined as the Aruma Apa-Maguli Mountains, Owen Stanley Range, Papua New Guinea). Two subspecies. English: Lawes's six-wired bird of paradise, Lawes's six-wired parotia, Lawes's six-plumed bird of paradise, Helena's parotia; French: Paradisier de Lawes; German: Blaunacken-Paradeisvogel; Spanish: Perotia de Lawes. to nape, banded orange and blackish underparts, and lack occipital plumes. The eastern third of New Guinea's central cordillera, entirely within Papua New Guinea. P. l. lawesii: western and southern highlands of Papua New Guinea southeastward into peninsular Papua New Guinea; P. l. helenae: the northern watershed of peninsular Papua New Guinea, from Waria southeast to Milne Bay. Found between altitudes of 1,640-7,540 ft (500-2,300 m). Midmontane forests including primary mixed oak forest, disturbed forest, secondary growth, and remnant forest patched even within extensive village gardens. Males clear a terrestrial court to dance upon in courtship display. Courts are typically dispersed to form exploded leks, but some are solitary. Males advertisement-sing from court perches or the forest canopy above but remain mostly silent when interacting with females. Flight swift and buoyant, consisting of four audible wingbeats followed by a short glide. Omnivorous, but very predominantly frugivorous. Tears epiphytic growth from tree limbs to find arthropods. Polygynous, with promiscuous, solitary, males and exclusively female nest attendance. Breeds June through January. 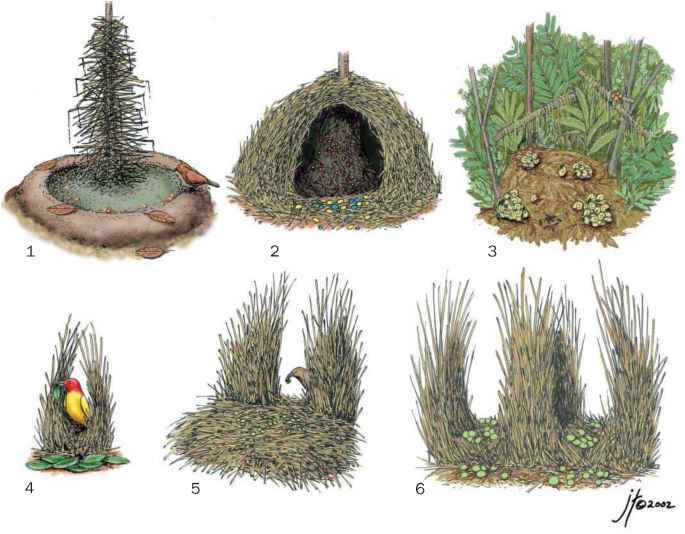 Nests, built in large trees and vine tangles, consist of a substatial but relatively shallow open cup. Only single egg clutches recorded. Not threatened. 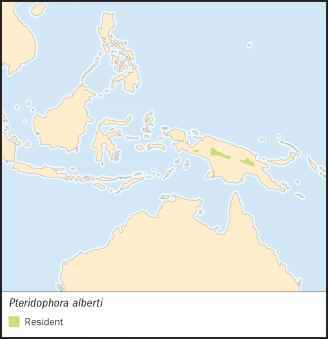 Widespread, common, and tolerant of habitat disturbance.